For I delivered to you as of first importance what I also received: that Christ died for our sins in accordance with the Scriptures, that he was buried, that he was raised on the third day in accordance with the Scriptures (1 Cor. 15:1-4). Usually the media focuses on bad news. But sometimes there is news so good that it can’t be ignored. I’ll give you a date in history and you tell me what was on the covers of newspapers on the following day. May 7, 1945? Germany surrenders in WWII! July 20, 1969? First man on the moon! November 9, 1989? The Berlin wall falls! February 28, 2010? The Canadian men’s hockey team wins the 2010 Olympic gold medal! The Greek word for “gospel” (euangelion) means “good news.” The gospel of Jesus Christ is the best good news. The gospel is “of first importance” (v. 3). The most important truth we need to understand is the gospel. 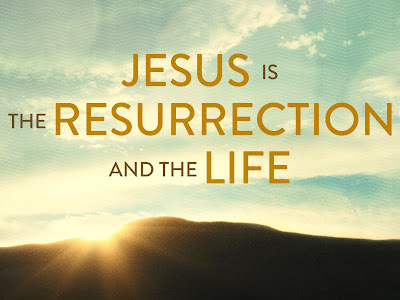 The basic facts of the gospel are (1) “that Christ died for our sins,” (2) “that he was buried,” and (3) “that he was raised on the third day.” The gospel is the good news about the death and resurrection of Jesus Christ. The gospel could be summed up with three words: problem, solution, and response. 1. The problem was sin. 2. The solution was Christ. We needed to be rescued (“saved,” v. 2). Christ our Savior took all of our sin—past, present, and future—and died in our place. He now offers us his perfect righteousness. “For our sake [God] made [Christ] to be sin who knew no sin, so that in him we might become the righteousness of God” (2 Cor. 5:21; cf. Phil. 3:9). 3. The response is faith. Salvation is “received” (v. 1) by faith (“believed,” v. 2). The gospel is “the power of God for salvation to everyone who believes” (Rom. 1:16). Salvation is totally the work of God. The gospel says to us, “You are more sinful and flawed than you ever dared believe, but you are more accepted and loved than you ever dared hope.” J. D. Greear, in his book Gospel, writes, “There is nothing we could ever do that would make God love us more, and nothing we have done that makes Him love us less” (p. 57). The gospel “shouldn’t be just a ticket to heaven but the core of our entire lives” (J. D. Greear, Gospel, p. 22). In other words, our lives should be gospel-centered. 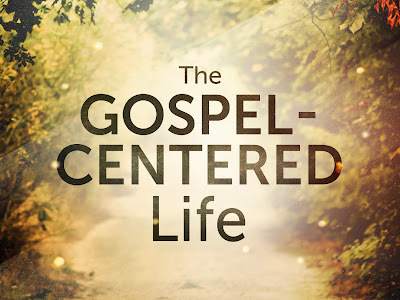 “The gospel-centered life is one in which everything we do, think, speak, and act out is radically transformed by the grace of God seen through Jesus” (Tim Smith, "What It Means to Live a Gospel-Centered Life?"). We cannot effectively live the Christian life unless we constantly preach to ourselves the gospel. The truth of the gospel must move from our minds to our hearts. Our Christianity is often nothing more than “Bible story morality.” God desires more from us than behavior modification; he wants heart transformation. If we constantly preach to ourselves the gospel, our hearts will be changed and our obedience will be powered by desire. The gospel gives us the desire to share the gospel with others. “Christ reconciled us to himself and gave us the ministry of reconciliation. 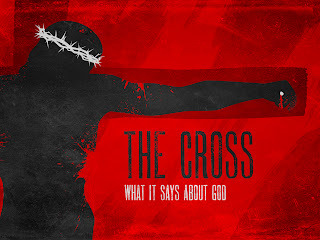 Therefore, we are ambassadors for Christ, God making his appeal through us” (2 Cor. 5:18-19). The gospel gives us the desire to accept others. “Welcome one another as Christ has welcomed you” (Rom. 15:7). The gospel gives us the desire to rid ourselves of self-centeredness. “Do nothing out of selfish ambition or vain conceit. Rather, in humility value others above yourselves, not looking to your own interest but each of you to the interests of the others. In your relationships with one another, have the same mindset as Christ Jesus. Who, being in very nature God, did not consider equality with God something to be used to his own advantage; rather, he made himself nothing by taking the very nature of a servant, being made in human likeness. 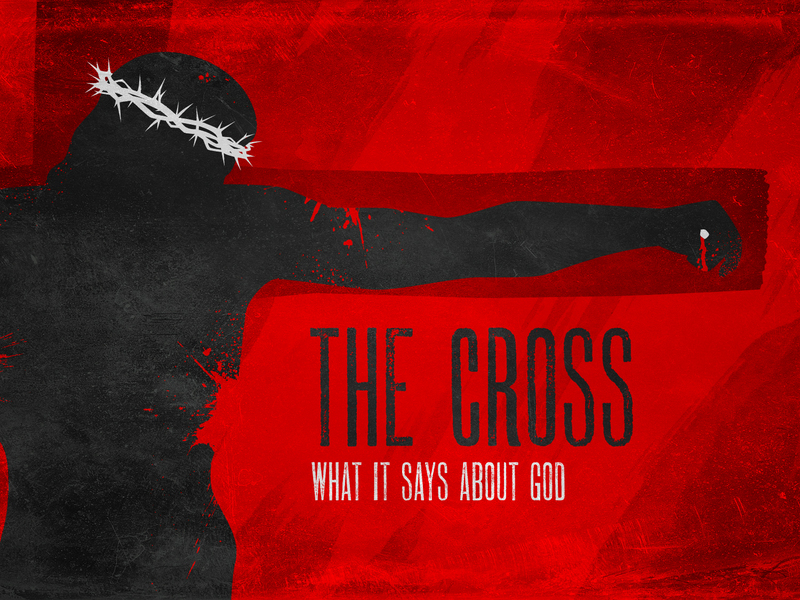 And being found in appearance as a man, he humbled himself by becoming obedient to death—even death on a cross! (Phil. 2:3-8). The gospel gives us the desire to avoid sexual sin. “Do you know that your body is a temple of the Holy Spirit within you, whom you have from God? You are not your own, for you were bought with a price” (1 Cor. 19-20). We don’t begin with the gospel and then move on to other things. The good news of Christ’s death and resurrection is for every moment of every day. So that you also may know how I am and what I am doing, Tychicus the beloved brother and faithful minister in the Lord will tell you everything. I have sent him to you for this very purpose, that you may know how we are, and that he may encourage your hearts. Peace be to the brothers, and love with faith, from God the Father and the Lord Jesus Christ. Grace be with all who love our Lord Jesus Christ with love incorruptible (6:21-24). What kind of book do you think the Bible is? Some people think the Bible is a book of rules, telling you what you should and shouldn’t do. Other people think the Bible is a book of heroes, showing you people you should copy. The Bible does give us God’s rules and does tell us about some heroes, but it’s much more than a book of rules or heroes. As The Jesus Storybook Bible says, “The Bible is most of all a Story. It’s an adventure story about a young Hero who comes from a far country to win back his lost treasure. It’s a love story about a brave Prince who leaves his palace, his throne—everything—to rescue the one he loves. It’s like the most wonderful of fairy tales that has come true in real life!” (Sally Lloyd-Jones, The Jesus Storybook Bible, p. 17). 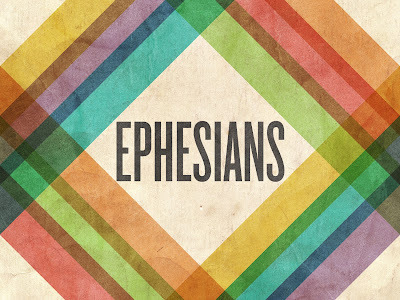 We’ve now come to the end of one of the Bible’s books: Paul’s letter to the Ephesians. 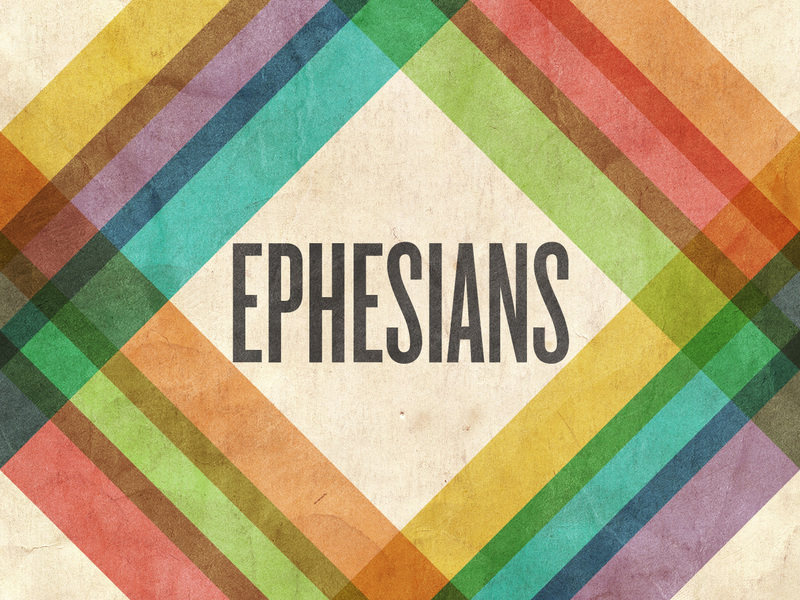 Ephesians begins by reminding us of the Story--the story of what God has done for us through Jesus Christ. It also shows us that our motivation for pleasing God is found in a proper under-standing of the Story. In the days before post offices, telephones, email, and text messaging, letters had to be carried from one place to another. Tychicus , “the beloved brother and faithful minister in the Lord” (v. 21), was sent by Paul from Rome (where Paul was a prisoner; 3:1; 4:1; 6:20) to Ephesus and probably delivered Paul’s letter. Paul also mentions that Tychicus would be able to given the Ephesians an update on the apostle (“So that you also may know how I am and what I am doing,” v. 21; “that you may know how we are,” v. 22) and “encourage [their] hearts” (v. 22). Without God’s grace, we would be hopeless in our helplessness. Right living flows from right doctrine. What you believe affects how you live. For example, a proper understanding of electricity will save a person from electrocution. A person who has a correct understanding of God’s grace will have a right response to God’s working in his or her life. Paul ends his letter by saying, “Grace be with all who love our Lord Jesus Christ with love in corruptible” (v. 24). Jesus was once asked, “Which is the greatest commandment?” He replied, “You shall love the Lord your God with all your heart and with all your soul and with all your mind” (Matt. 22:37; cf. Deut. 6:5). Jesus also said, “If you love me, you will keep my commandments” (John 14:15). The proper response to God’s grace is to love him, which results in our obedience to him. “In many ways the benediction is an appropriation of the entire letter. God has provided all you need in Christ; therefore, live worthy of the gift” (Klyne Snodgrass, Ephesians, p. 366). When we think about what God has done for us through Christ and his cross—none of which we deserved—we respond with love and strive to glorify him. Finally, be strong in the Lord and in the strength of his might. Put on the whole armor of God, that you may be able to stand against the schemes of the devil. For we do not wrestle against flesh and blood, but against the rulers, against the authorities, against the cosmic powers over this present darkness, against the spiritual forces of evil in the heavenly places. Therefore take up the whole armor of God, that you may be able to withstand in the evil day, and having done all, to stand firm. Stand therefore, having fastened on the belt of truth, and having put on the breastplate of righteousness, and, as shoes for your feet, having put on the readiness given by the gospel of peace. In all circumstances take up the shield of faith, with which you can extinguish all the flaming darts of the evil one; and take the helmet of salvation, and the sword of the Spirit, which is the word of God, praying at all times in the Spirit, with all prayer and supplication. To that end keep alert with all perseverance, making supplication for all the saints, and also for me, that words may be given to me in opening my mouth boldly to proclaim the mystery of the gospel, for which I am an ambassador in chains, that I may declare it boldly, as I ought to speak (6:10-20). Within our human bodies, a battle is raging. Antibodies are fighting against bacteria in order to prevent sickness and disease. This battle can’t be seen with our eyes. Before the discovery of antibodies and bacteria, people would have been totally unaware of its existence. Whether we realize it or not, we are engaged in a spiritual battle. “We do not wrestle against flesh and blood,” but against the devil and his forces (vv. 11-12). In this battle, we must remember two truths. 1. Our strength comes from God. We are to “be strong in the Lord and in the strength of his might” (v. 10). “Be strong” is a passive verb. We are to be made strong. It is God who makes us strong (like a solider is made strong by being in a tank). God said to Joshua, “Be strong and courageous. Do not be frightened, and do not be dismayed, for the LORD your God is with you wherever you go” (Josh. 1:9; cf. Deut. 31:6). 2. Our enemy is dangerous but defeated. The devil has many “schemes” (v. 11; cf. 2 Cor. 11:14; James 1:14-15). “Evil rarely looks evil until it accomplishes its goal; it gains entrance by appearing attractive, desirable, and perfectly legitimate. It is a baited and camouflaged trap” (Kylne Snodgrass, Ephesians, p. 339). Peter writes, “Be sober-minded; be watchful. Your adversary the devil prowls around like a roaring lion, seeking someone to devour” (1 Peter 5:8). Two of the devil’s favorite areas of attack are marriages and church unity. We should be careful to not fall for the devil’s traps, but we don’t need to fear him. He is a defeated enemy. His defeat is sure because of the death and resurrection of Jesus (cf. Eph. 1:20-21). Paul emphasizes the word “stand.” It occurs three times in this passage (vv. 11, 13, 14). How can we stand against the enemy’s attacks and not fall to temptation? There are two keys to victory. 1. Resist the enemy with the word of God. In verse 13, the Greek word for “withstand” (anthistemi) can also be translated “resist” or “oppose.” When Jesus was tempted by the devil (Matt. 4:1-11), he resisted the enemy by quoting Scripture (Matt. 4:4, 7, 10). After resisting the devil three times, the enemy “left him” (Matt. 4:11). James tell us, “Resist the devil, and he will flee from you” (James 4:7; cf. 1 Peter 5:9). If we don’t know what God’s word says, we won’t be able to effectively resist the enemy (cf. Eph. 4:14). 2. Always be alert and pray. We must not be complacent. We need to be “praying at all times in the Spirit, with all prayer and supplication. To that end keep alert with all perseverance, making supplication for all the saints” (v. 18). Jesus told his disciples, “Watch and pray that you may not enter into temptation” (Matt. 26:41). It’s sometimes said that God’s word is our only spiritual weapon, but prayer is also to be used as a weapon in our spiritual battles. Prayer demonstrates our dependency on God and releases the power of God. Imagine a solider going into battle without his gun. That’s like a Christian going through life without knowing the Bible. Imagine a solider being surrounded by the enemy and not radioing for help. That’s like a Christian not spending time in prayer. If we are to have victory against the enemy, we must not neglect Bible study and prayer.